Bon Anno means "good year" in Italian and over three generations in the wine business, the Bonanno family has had many good times. 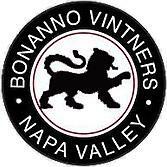 They are the first of the Bonannos to follow their passion into the world of winemaking, and, they started BonAnno in 2004 with the vision of creating a top quality Napa Cab for today's wine enthusiasts. Their strategy? Source grapes and wine from artisan growers to get the highest quality at the best price. Then carefully handcraft each bottle at one of Napa's top cab houses to create the unique BonAnno style that is consistently fruit driven, juicy and well structured. So pop it now or let it stand the test of time. This wine is best enjoyed with friends and family at every occasion.